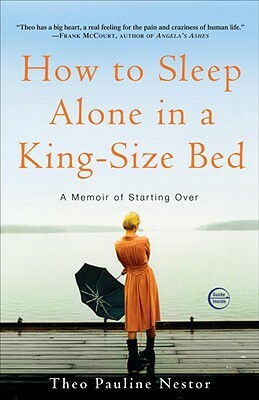 Theo Pauline Nestor took to the Huffington Post yesterday to talk about her experience creating How to Sleep Alone in a King-Size Bed: A Memoir of Starting Over. Apparently, everybody thinks writing a memoir must be “therapeutic.” Her reaction was to cringe. Nestor admits that she understands where these people — her readers — are coming from when they use the word she so loathes. They’re only trying to connect with her and learn more about the writing process and its inherent rewards. Penning the memoir did bring Nestor joy, but not because it’s therapeutic (although early portions of the book were) or because publishing is some big miracle cure. The answer came to her after watching a 20-minute TED talk about “The Power of Vulnerability.” It’s all about how opening ourselves to others — becoming vulnerable and revealing our authentic selves — increases happiness. I find this painfully true for the same reason that joining social media can either bring people together (through reconnecting, sharing life events or daily thoughts, and having a voice in a “community”) or make them lonelier than they were when they signed on — look at all these people who you could be spending time with while you’re here, alone, sitting behind a computer screen. These sites are only supportive if you have someone to talk to; otherwise, it’s just like staying quiet in a mingling crowd. The same risk/reward is involved in forming relationships in face-to-face social situations. Do you dare let others in, or are you too shy to be “vulnerable”? Nestor objects to the word “therapeutic” because it’s too wild to describe what the writing process is like (authoring a memoir is not like keeping a diary), but she asserts that establishing connections with other people is what helped her find happiness. So my question is, is writing in a way that enables you to communicate with others a “therapeutic” act in itself? What do you think is key to successful catharsis in writing? Call for questions: What do you most want to know about history’s REAL ninjas?